The general public will struggle to understand why two elderly former soldiers should face trial over the death of an IRA killer more than 45 years ago, Doug Beattie has said. The UUP justice spokesman said the decision to prosecute the ex-paras appeared “unbalanced” as many terrorists have availed of Royal Pardons and on the run letters. 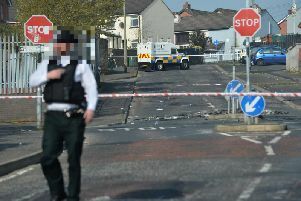 Following a judge’s ruling, that the pair had a case to answer over the shooting dead of Official IRA leader Joe McCann, Mr Beattie said the decision “will simply not be understood” by the public. “The systematic investigation of military personnel and not the numerous paramilitary killings in Northern Ireland gives the impression that the justice system is unbalanced in its treatment of legacy cases and is skewed towards the actions of the state, while ignoring the actions of the terrorists,” he said. “At the time of his death Joe McCann was at the top of the RUC Special Branch wanted list. “He was a ruthless and dedicated terrorist who had murdered British soldiers. “Intelligence reports stated that McCann regularly carried a pistol as a personal protection weapon and that he was likely to use it if cornered. Upper Bann MLA Mr Beattie said it is “all too easy to review the events of 1972 from the comfort of an armchair in 2018,” and added: “The context of the time is crucial. According to ‘Lost Lives’ this was the year in which 496 people died, 258 of whom were civilians. “Of the year’s deaths, 279 were the result of republican activity, 121 due to loyalists, the Army 79 and the RUC six, yet once again we are focusing on the actions of state forces.